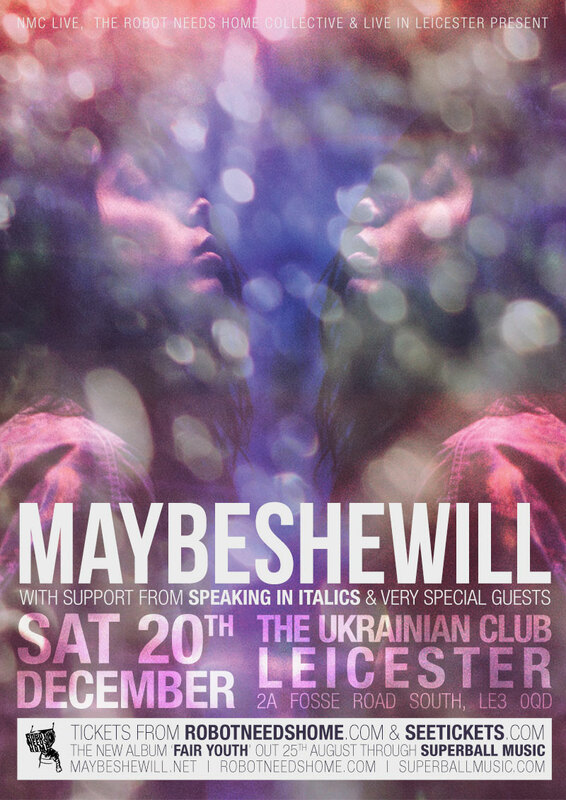 We’ve been neglecting our own city of Leicester for too long now, so, fittingly given that this batch of touring begins in Kiev, we’ll be seeing out the year, and the first legs of the Fair Youth tour with a show at The Ukrainian Club (2a Fosse Road South / Hinckley Road) on 20th December. We’ll be joined by our good friends Speaking In Italics for the show, as well as some special guests who will be announced nearer the time. Because we’d love as many of you to come as possible, tickets can be bought for just £6 from SeeTickets.com or direct from RobotNeedsHome.com where you can even save a few pence on the booking fee. That said, there are only 200 available, so get them while they’re hot.